KISS is back! In comics, that is. 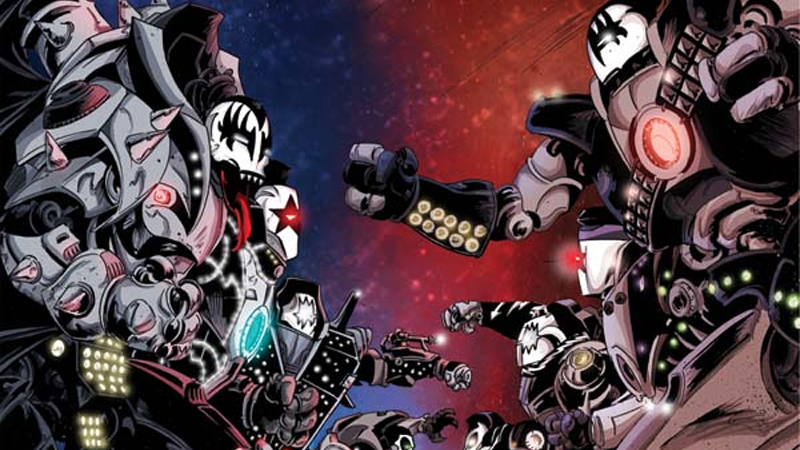 Long since the days of the Marvel Comics Super Special: KISS, Dynamite is bringing the rock band to life in a weird and wonderful new way with a new comic that will transport the band to a dark and dangerous future. If I had to recruit an entity from the past to save my ravaged future world, KISS probably wouldn’t be at the top of my list, but judging by the fact one of the covers for the series’ first issue features a ton of giant power suits inspired by the band’s extravagant black-and-white makeup looks, maybe they are a good choice. KISS #1 will be out this October.